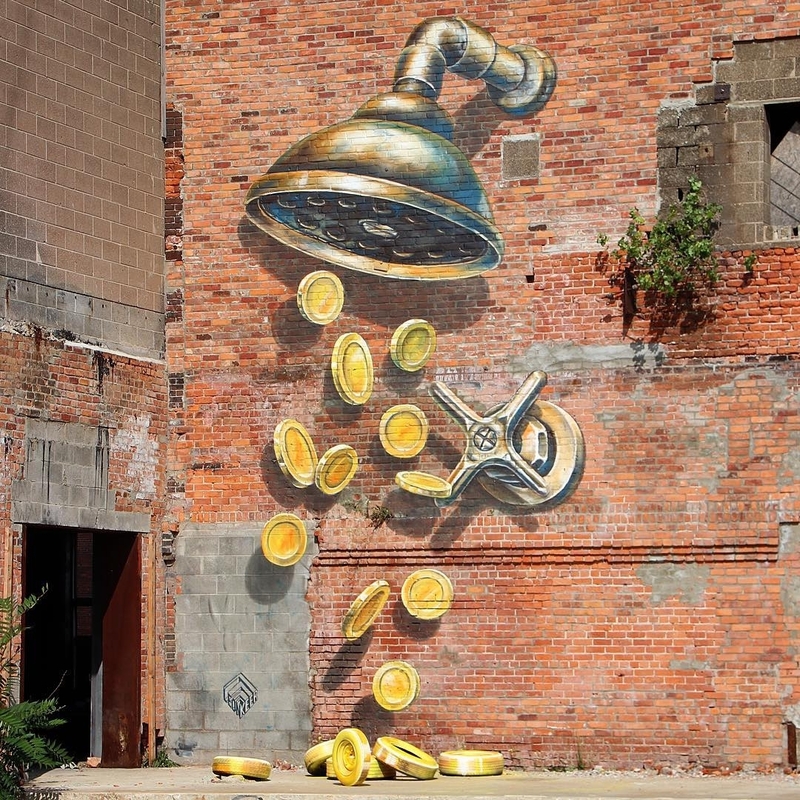 Detroit, Michigan, USA: new 3d mural by Dutch artist Leon Keer for Murals In The Market. 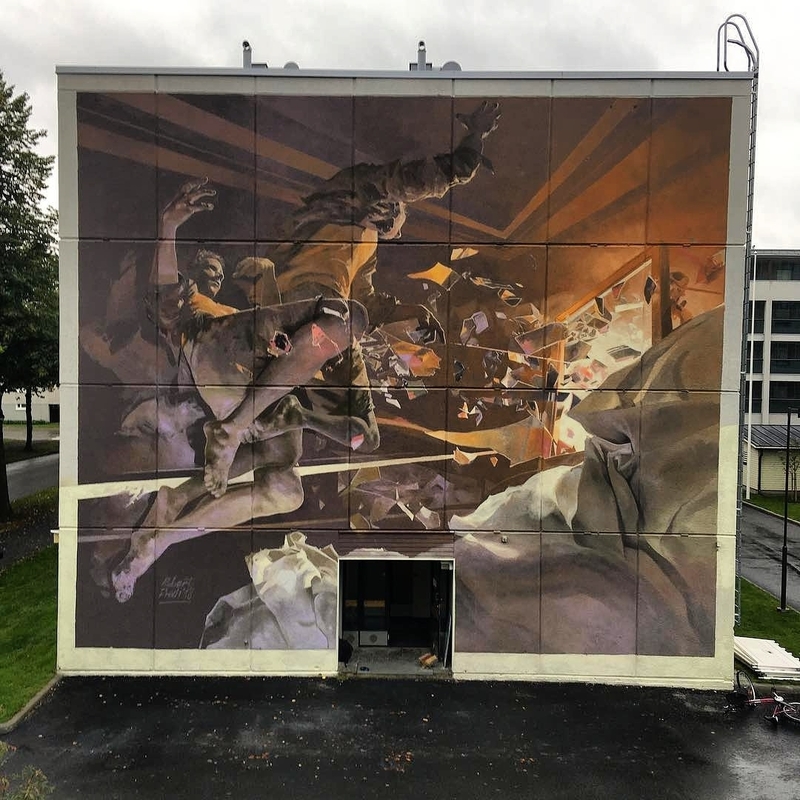 Joensuu, Finland: new mural by Robert Proch for Upeart. 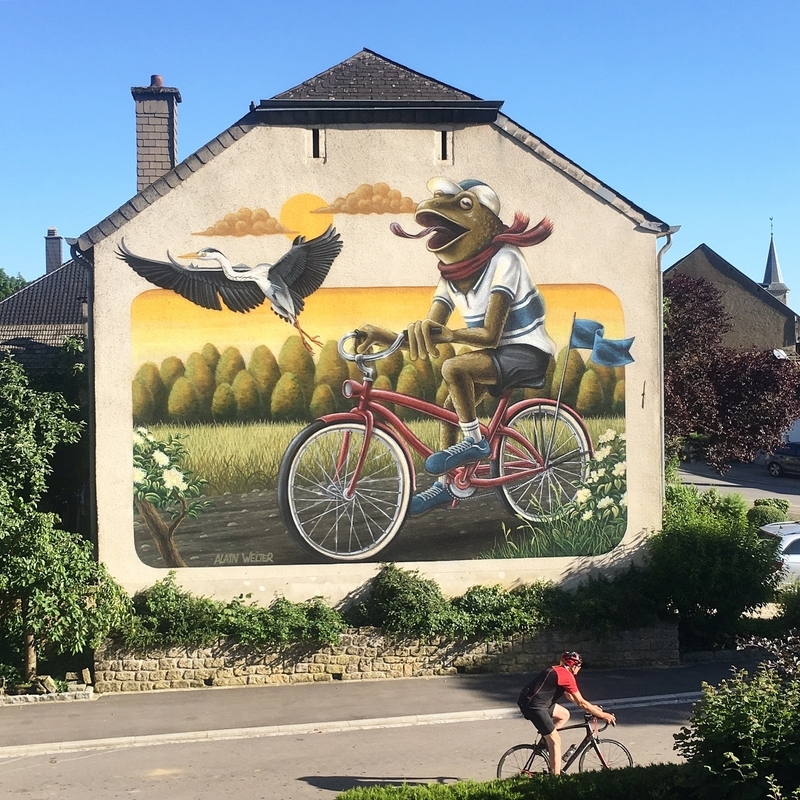 Kahler, Luxembourg: new mural by Alain Welter aka MOPE for Make Koler Kooler. Non avevo mai visto un ranocchio… pedalare. Che bello!